Without a focus on quality service it can be difficult to keep your business thriving. The loss of even a few customers can affect your bottom-line, especially when you discover that it might be related to customer service that you or one of your employees has provided. 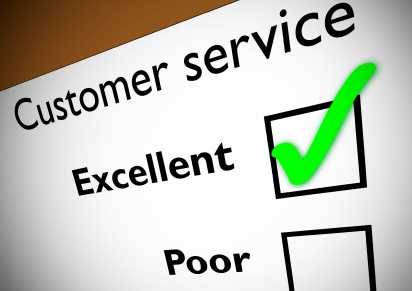 Make sure everyone within your business understands the service standards that you have set. Establishing these guidelines, setting the bar high, and demonstrating your willingness to provide the top-tier service will keep your employees accountable as well. Once you have set these guidelines don’t forget to give your employees the tools they need to achieve these standards. No one is in a better position to give you feedback than a person interacting with your business. To collect the most feedback possible, make sure you provide a platform that is easy for your customers to use. There are a variety of ways you can reach out to your customers. Post a poll on your social media account. E-mail a survey from your customer database. Even put a hard copy comment card by your from desk. When you create any one of these, make sure your questions are specific and not open-ended and limit the number of questions you are asking. Most importantly, make this as user friendly as possible so that you get more responses. Once you have collected this information, make sure you listen to everything your clients are telling you even when some comments are negative. Customers see a different side of your business and can provide great insight into how you can improve your service. Mistakes happen to everyone, but what matters is how you handle the issue. Real damage occurs if you avoid the problem. Make sure you and your employees always take full responsibility and go over and above to fix the issue, even when you might not be fully at fault. An apology can go a long way and can limit the amount of dissatisfaction a customer might feel. You might be surprised at the likelihood of turning a disappointed customer into a loyal one when you go above and beyond to talk to them after something happens. You will never have a true understanding of the service you provide to your customers without getting your feet on the ground; sometimes you cannot get the full picture from revenue reports or meetings. By staying on the floor, you will be in a better position to make changes and get an accurate assessment of your business. Don’t be scared to roll up your sleeves and get dirty every once and a while. As a business owner service should be your #1 priority. Leveraging these ideas can provide valuable insight into the level of service you provide to your customers and gets your business reaching its full potential. See weekly Small Business Tips like this one by subscribe to our blog.